“The Maid Behind the Bar” is an extremely popular and much hackneyed tune. 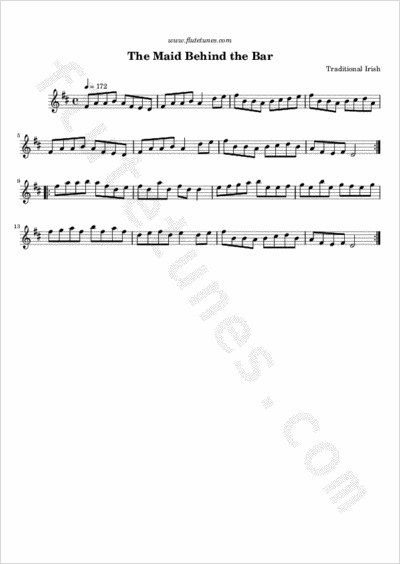 The tune was initially popularized through the recording by Irish fiddle master James Morrison, and has become one of the most ubiquitous tunes in modern Irish sessions. Much of its present popularity is due to a version recorded during the 1970s by Stockton's Wing. O'Neill published it in his Music of Ireland collection as “The Green Mountain”, a name now more commonly attached to a close variant of the tune. This tune goes well with Cooley's Reel.